20 promises, and “because I said I would”. Update (3/22/13): Alex followed through, here is a picture of him with Gail from Candelighters. A guy named Alex has a site I found out about today called “becauseisaidiwould.com“. At this site, you can request 10 free cards that are blank, and simply say “because I said I would” at the bottom. Alex started doing this in September of 2012, when his father passed away from lung cancer. He does it as a memorial to his father, who always kept his word. 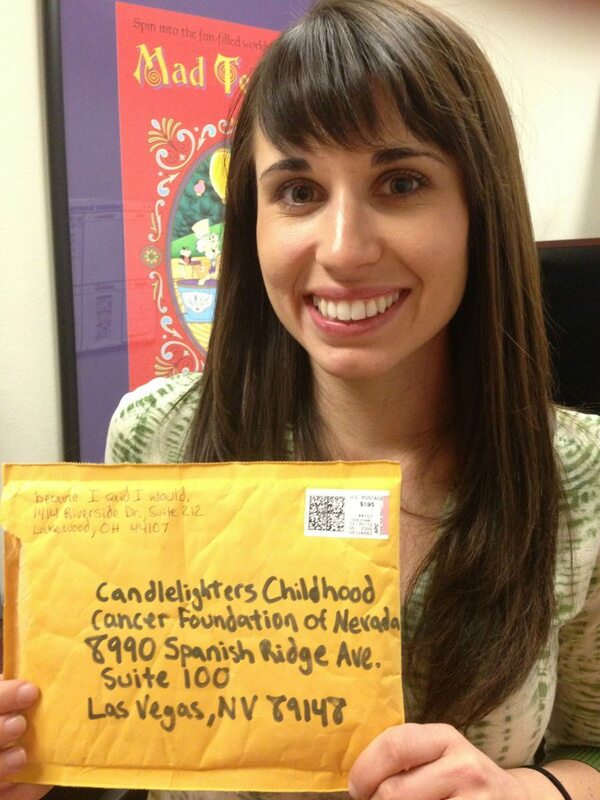 Kelly Gail, from Candelighter’s Childhood Cancer Foundation in Nevada received something in the mail recently from a stranger (Alex from the website above). Kelly Gail invited 5 year old Delliliah to open the package. Delliliah lost her brother Jackson to childhood cancer in April 2012. 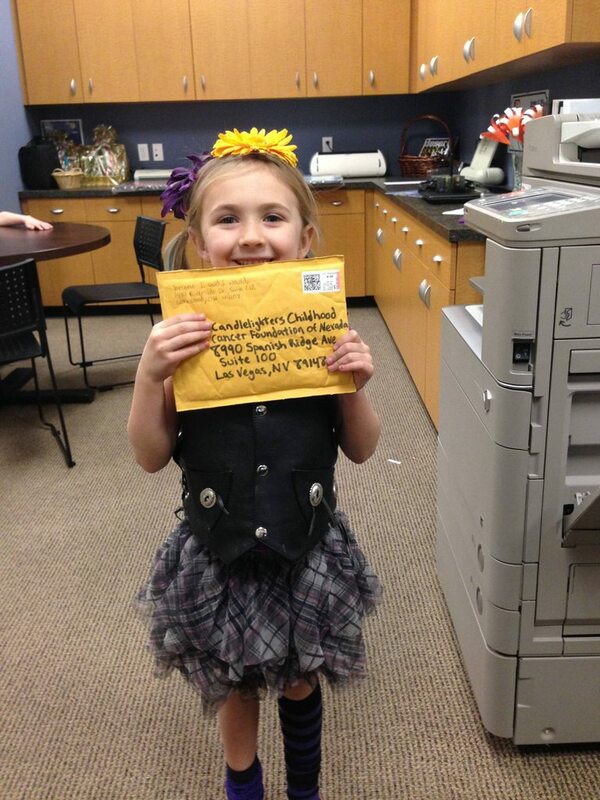 Inside the package were 20 cards to be given to children who had been diagnosed with cancer. 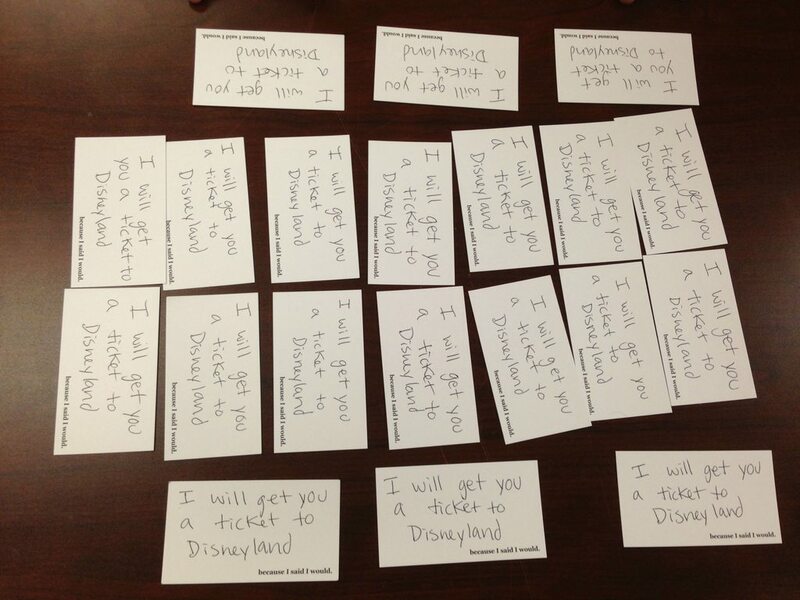 On each of the cards was a handwritten note, with “I will get you a ticket to Disneyland” and the plainly typed “because I said I would.” in the bottom right. 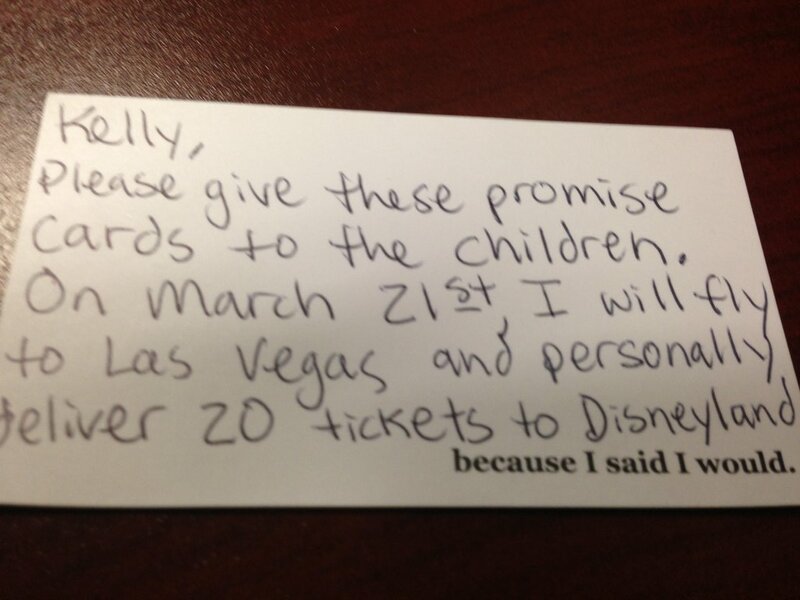 Alex wrote one more promise card. I’m writing this blog post tonight knowing it will also be posted to Facebook, and hoping that those who see it will also share the story.